(HealthDay)—For patients with rheumatoid arthritis (RA) who have clinical response to treatment, active synovitis with osteitis is associated with subsequent residual synovitis (R-synovitis), according to a study published online Feb. 3 in the International Journal of Rheumatic Diseases. 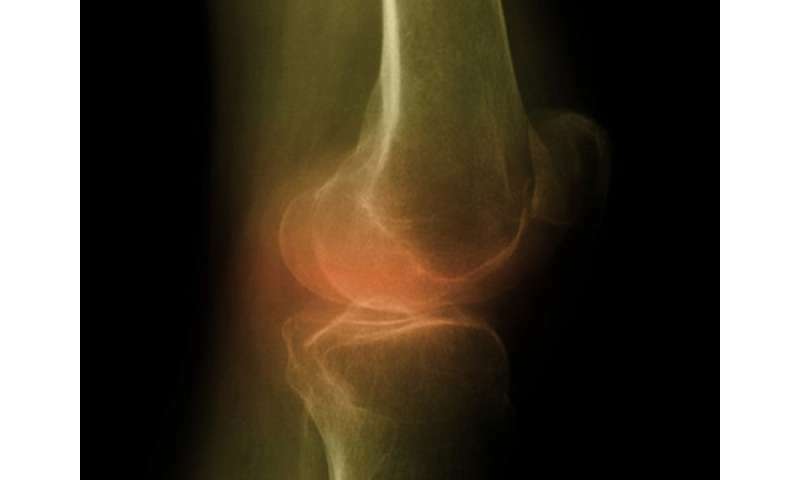 Jun Fukae, M.D., Ph.D., from the Hokkaido Medical Center for Rheumatic Diseases in Sapporo, Japan, and colleagues examined the correlation between active synovitis/osteitis and R-synovitis in patients with RA. The authors analyzed 320 finger joints of 16 patients with active RA at baseline who subsequently achieved clinical low disease activity or remission. A semi-quantitative ultrasound score was used to assess synovial vascularity (SV). The presence of grade >2 SV at the 24th week was used to define R-synovitis. The researchers detected active synovitis in 116 joints at baseline using ultrasonography. At the 24th week, 47 joints had R-synovitis. Osteitis was detected with magnetic resonance imaging in 12 joints at baseline. There was a significant correlation for the presence of active synovitis with osteitis at baseline with R-synovitis at the 24th week. "Active synovitis in the presence of osteitis predicted R-synovitis regardless of whether there was a clinical improvement in RA," the authors write.